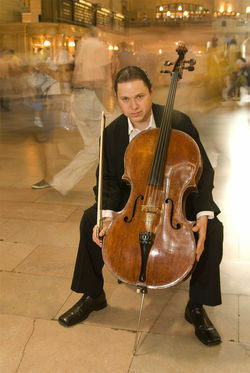 Cellist Matt Haimovitz has inspired classical music lovers and countless new listeners by bringing fresh music to concert halls, rock clubs, outdoor festivals, intimate coffee houses—just about anywhere he can reach listeners with passionate performances of world class music. Last September, Matt brought that passion to the University of NC at Greensboro Recital Hall as part of the 17 Days Festival, where Matt explored everything from classic Jimi Hendrix tunes to an unaccompanied Bach Cello Suite. During this segment you’ll also hear Matt’s take on tunes by Blonde Redhead and Arcade Fire. He spoke with David Ford by cell phone last fall.